The Great River Chapter held its annual Inspired by Nature exhibit at the Edina Art Center, from August 8 through September 11, 2013. Watercolor, graphite, and colored pencil were represented in 52 works by 30 member artists. 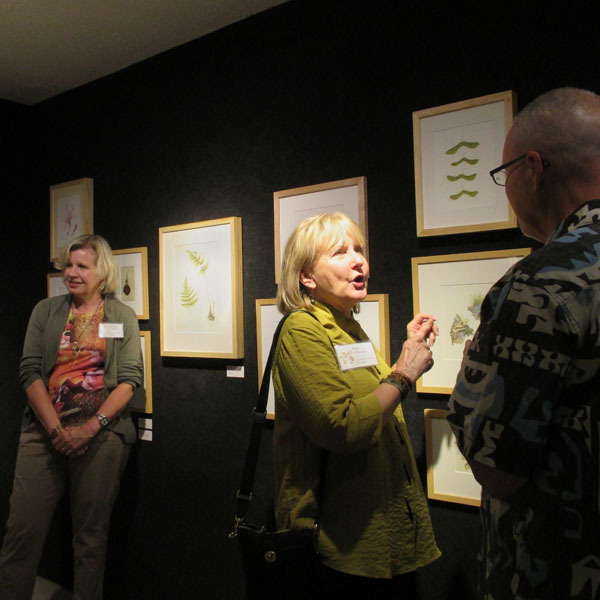 Artists, friends, and fans of botanical art enjoyed a lively opening reception on August 8. The exhibit was organized and beautifully arranged by exhibits coordinator Yara Anderson, assisted by Jane Fisher. Yara and Jane also organized the very successful reception. This year's exhibit featured a new poster showing and explaining the stages in the creation of a botanical painting. 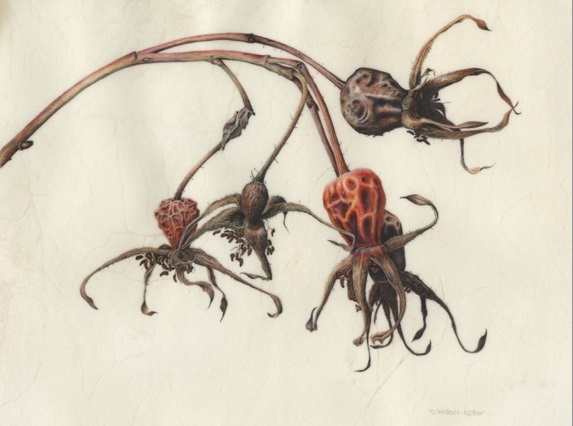 Denise Walser-Kolar donated the reproduction rights to scans of her painting of rose hips while it was in progress. The new poster will be reused in future exhibits, along with our poster about the historical background of botanical painting. The Great River Chapter was formally incorporated as a chapter of the American Society of Botanical Artists in 2003, and we currently have 69 members from Minnesota and Wisconsin.